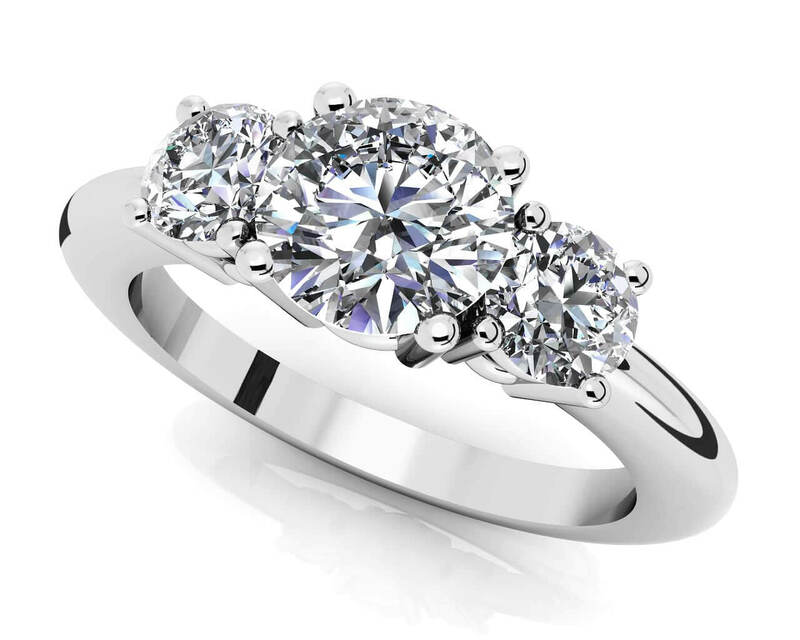 A three stone ring can signify many things including the past, present and future. 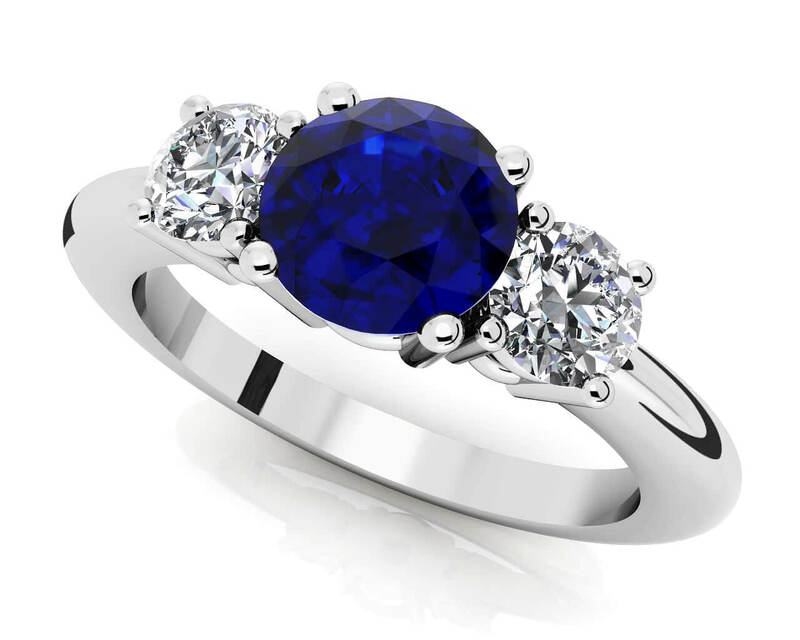 This beautiful ring also signifies elegance with three round gemstone and diamonds set in a classic four prong setting. 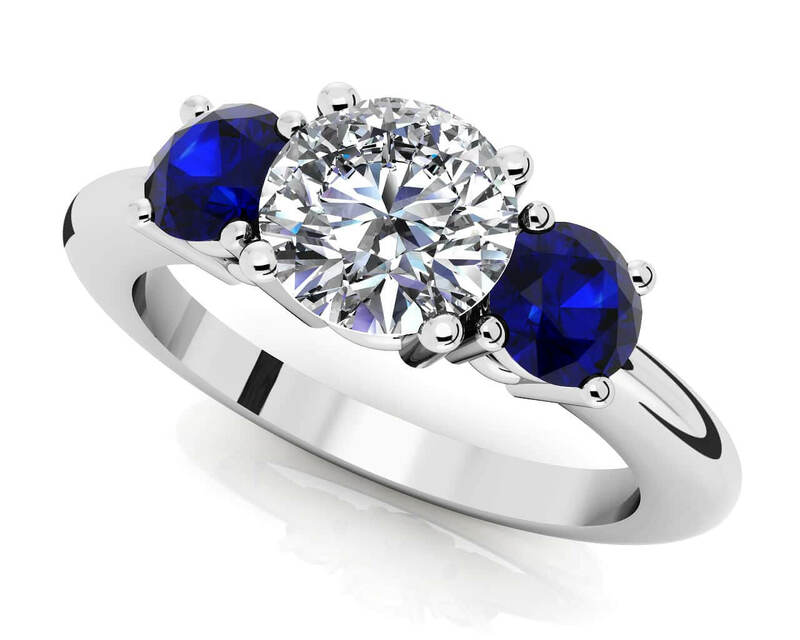 Complete your ring by customizing the meal type, total carat weight, diamond quality, ring size and gemstone. All gemstones are AA quality. Stone Carat Weight: 2X0.210 ct., 1X.500 ct.